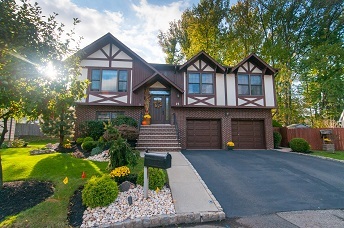 Enticing Metuchen Home Ready for You! 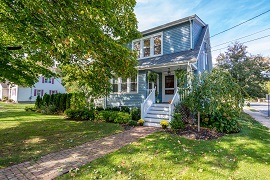 Welcome to this handsome cape-cod, with lovely front yard and perfectly accentuated exterior features. The living room is bright and large with wall to wall carpeting and endless possibilities. The family room is cozy and exudes relaxation while being able to be used in a variety of ways. The formal dining room equally combines refinement and casual ambiance, with all the promises of dinner parties to come. The kitchen will appeal to the chef in you, with plenty of counter space, bright colors, and electric cooking to create a more energy efficient space. The downstairs is completed by a full bathroom and access to the raised deck & vast backyard. The upstairs is spacious with full bathroom and three bedrooms, all with wall to wall carpeting, sun drenched and bright colors. 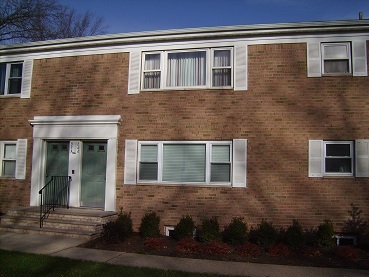 Home near all major highways, downtown shopping, public transportation to New York City, and great parks. This home is a MUST SEE!!! Greeted with a larger front lawn before entering the cozy living room with wall to wall carpeting and dining area, assisting with intimate social engagements to come. The kitchen is everything a cook could want, hardwood flooring, gas stove, wood-finished cabinets, and updated countertops. The first level has two bedrooms, one with family room possibilities or an office, laundry room access, and completing the first level, a full bathroom. The second level bedrooms are bright and inviting and access to a second full bathroom. The spacious backyard is ample, with fence, and storage shed. Close to all major highways, bustling downtown area, shopping malls, public transportation to New York City, and great schools. This home is A MUST SEE! Buying a Home in Matawan? Selling a Home in Matawan? Enter into serene opulence from the second you pull into this two car wide, stone paved driveway, with drive up to the door access, and bordered by a stylish manicured grounds. Upon your first steps into this splendid, two-story colonial, the foyer exudes warmth and comfort, sure to create the feeling of home. To the right, the spacious and affluent living room, with bay windows, French doors, and hardwood flooring, offering a lavish feeling while still maintaining an intimate setting. The French doors lead to a very large enclosed porch with carpeting and ceiling fans, overlooking a serene forest setting. The formal dining room radiates elegance, creating a splendid setting for future dinner parties. The orderly kitchen is a delight, with unblemished wood cabinets, breakfast bar, and separate dining area, will certainly appeal to the chef in you. The large family room, complete with wall-to-wall carpeting, neutral colors, French doors, track lighting, skylights, and a brick, wood-burning fireplace, offering a tranquil experience. The French doors allow access to the back deck and scenic yard, making even the most mundane summer bar-b-que the event of the season. Off to the side of the kitchen are two bonus rooms, a mud room with 2 closets and a door leading to the deck and a delightful powder room, all for your convenience. The large laundry room is located on the 2nd floor. The bedrooms are spacious, with new wall-to wall carpeting, and freshly painted. The master bedroom is complete with a walk-in closet and a full master bathroom. The second full bathroom with laminate flooring and twin sinks, really completes the upstairs. The full basement is vast and has the potential to be completely finished with a conceivable space for a gym, second den, or even rec room. 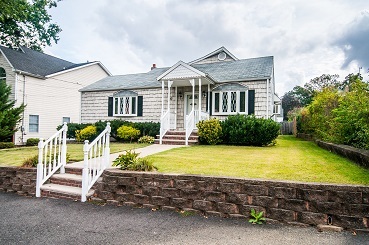 Located in desirable Matawan, near all major highways, parks, shopping malls, and local train stations (among other public transportation) to and from NYC, this house is sure to go fast!!! 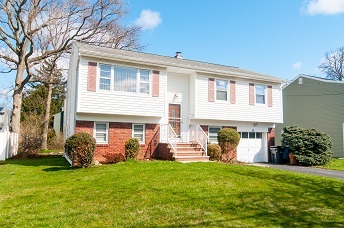 Perfect Bi-Level Home in Metuchen! This stunning contemporary home is ready for its new owners. Built in 1965, this modern house, is complete with all the amenities, shingled roof, lower front of brick face, and vinyl siding. Upon entrance, greeted with a short stair case, propelling oneself into the cozy living room, with hardwood flooring, and access to the formal dining room and bright Eat In Kitchen. 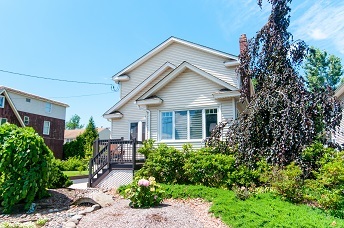 Down the hall are three bedrooms, with hardwood flooring and an updated full bathroom. Downstairs is a carpeted family room, with full walk in closet/storage area, and fourth bedroom or office. Off to the side is an entrance way to the attached, single car width garage, with laundry facilities. From the family room, there is also access to the patio area, covered by the raised deck, with access from the dining room, which allows one to enjoy the scenery, no matter what time of year. The spacious backyard has plenty of room for BBQ’s, catches, or any variety of outdoor activities one can imagine, complete with storage shed. Close to all major highways, shopping malls, and public transportation to NYC. Step into simplistic grace. This home is ready for its new owners and exudes comfort. Greeted by the cozy living room upon entrance with wall to wall carpeting and bright coloring and emanates relaxation. The eat-in-kitchen has plenty of space for the chef in you with a separate dining area. This home has four bedrooms, two downstairs with hardwood flooring and bright colors, two upstairs, brightly colored with wall to wall carpeting. Two full bathrooms, one upstairs and one down, for your convenience. The full basement is half finished with dry bar and a laundry area. Single width driveway with attached garage and ample yard space. Near all major highways and shopping malls. This home is not to be missed! 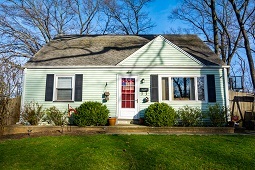 Quaint Edison Cape Ready For You! This Edison Cape is ready for its new owners. Enter into tranquility with this charming, welcoming home. The living room is scenic, with bay windows, allowing for a picturesque view and allowing sunlight to flood the brightly colored room. The eat-in-kitchen, recently updated, with separate dining area, and ceiling fan, will appeal to the chef in you. The newly updated full bathroom exudes luxury while maintaining intimacy. The bedrooms are spacious and tastefully designed, one with wall to wall carpeting and the other with laminate flooring and bright. The third bedroom is located in the finished attic, with walk-up stairs, complete with carpeting and built-in cabinetry. The full basement is has loads of potential with a laundry area, work room, plenty of space for storage, and outdoor access. The back yard is large, ideal for the future bar-b-que’s to come, with detached garage with a partially covered area next to it. Near major highways, shopping malls, and ease of access to public transportation to and from NYC. This home is not to be missed! 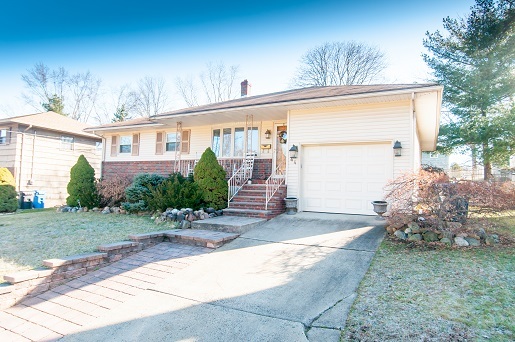 Stunning Ranch Available in Metuchen! 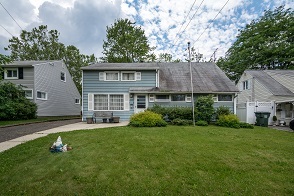 This beautiful Metuchen ranch style home is the perfect starter home, with roomy living room, with hardwood flooring and sundrenched from the ornate bay windows, sure to brighten any occasion. The formal dining room offers elegance with a sense of comfort, and full eat-in kitchen, recently updated with granite counter-tops, center-island, stainless steel appliances, complete with spacious range, and cooking area, ideal for the chef in you. Quaint, first floor bedrooms and a large fully finished basement with multiple uses, including in-law suite, with second complete kitchen, laundry area, office space, full bathroom, living room and inside entrance. The backyard has all the amenities for a great BBQ, with gas powered grill, wooden deck, yard, and fence. 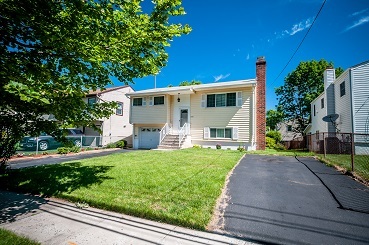 This home is a mere few blocks from bustling Main Street in Metuchen, easy access to public transportation to and from NYC, near all major highways, and shopping malls. This home is a MUST SEE! This alluring Woodbridge home is ready for its new owners. While oozing curb appeal with its professionally manicured landscape, you’ll know your home. 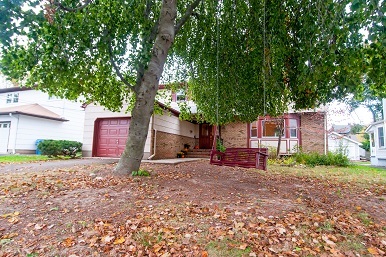 The unique design, along with brick front stairs, two car width driveway, and attached two car garage, all add to the charming display of this home. Upon entrance, you are greeted with an ornate set of stairs, going up and down, with beautifully finished wood and above shining light. The downstairs area is flush with comfort. The enticing family room is complete with hardwood flooring, garage entrance, brilliant, bright powder room, and sliding doors to covered patio area, and spare space for an office or recreation area. The upstairs exudes casual refinement. The picturesque living room is brightly lit from the large centered windows, with neutral colors and hardwood-flooring, which connects to the opulent, formal dining room, sure to make future entertaining, not only feasible, but virtually done for you. The eat-in-kitchen will appeal to the cook in you, no matter what level you are, from novice to master chef. Complete with hardwood flooring, newer, stainless steel appliances, elegant cabinetry, and stylish fixtures, magnificent, one of a kind backsplash tiling, and granite counter tops, this kitchen is sure to please. The bedrooms are bright and neutral with polished wood lined windows, hardwood flooring throughout, these bedrooms radiate warmth and contentment for every season of the year. The master bathroom, along with the other full bathroom upstairs, are fully updated with great tile work and refined finish. The backyard is professionally manicured, with raised deck, and privacy fence make this the ideal scene for future bar-b-ques or even relaxing spring supper. Near all major highways and shopping malls, easy access to public transportation to and from NYC, and near downtown area with local shopping and restaurants. This home is a MUST SEE!!! Metuchen Allurement at Its Finest! 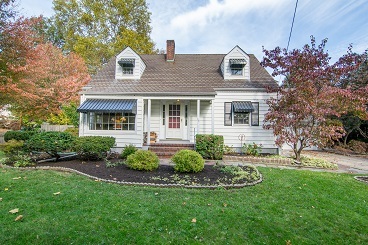 This appealing Metuchen Colonial is ready for its new owners. Oozing with curb appeal, with muted coloring, shading, and tree swing, this graceful home reminds you of a picturesque landscape embodying the colors and aura of autumn. Upon entrance, the intimate foyer exudes the feeling of being home. The living room is brightly painted and naturally lit from the bay windows, and hardwood flooring, this room is the optimal setting for entertaining guests. Attached is the formal dining room, with hardwood flooring, and is the most fitting mix of both luxury and comfort, sure to make anyone feel at ease. The eat-in-kitchen, with separate dining area, appealing to all from the matchless chef or the most novice cook, this room is sure to please. The family room off the kitchen, with wall to wall carpeting and neutral colors, this room exhibits all the comfort and ease of a Sunday afternoon. The downstairs is complete with a laundry room and powder room. The bedrooms are nice sized room to lay your head at night. Each room is painted appropriately and has hardwood flooring. The master bedroom has a dressing area, a master bathroom, and walk-in closet. The layout of the second level is completed with the second full bathroom, with twin sinks, tiling, and shower/bath tub combo. The basement is completely finished, with vinyl rubber tile, recreation room, styled with sitting area, billiard table, and dry bar, promising the most entertaining gatherings to come. The family room sliding doors lead to a patio area for a warm night of dining al fresco, with a storage shed and privacy fence to add to the intimacy. 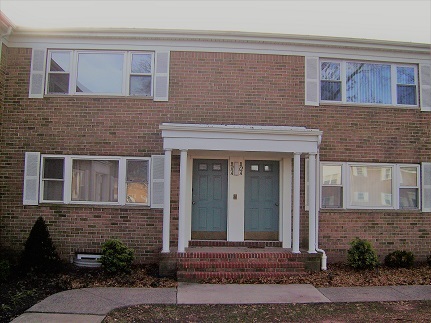 This house is located walking distance to bustling downtown area, with shopping, restaurants and public transportation to and from NYC. Near all major highways and shopping malls, this home is not to be missed! Metuchen Charm at its finest! Beautiful hardwood floors thru-out, many recent upgrades, newer windows, vinyl fencing making for a private over-sized lot. Welcoming front open porch to enter in to a warm and sun light filled home, spacious living room, banquet ready formal dining room. Mud-room, kitchen with appliances included, powder room with new porcelain tile flooring complete the first floor. 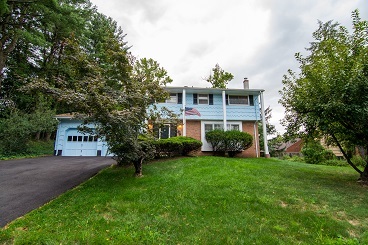 Second floor features 3 beds, and beautifully remodeled main bath as well as powder room. Close to downtown area, NY trains, and major highways. Full basement, vegetable, and other gardens surround yard. 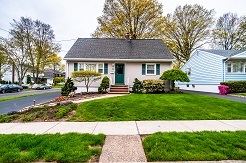 Charming Metuchen Colonial Ready For YOU! Step into Metuchen charm. This corner lot home exudes curb appeal, with brick face porch, with railings and sidewalk redone in 2011. Walking through the doors, you’re greeted with a cozy living room with wall to wall carpeting, accessing the formal dining room, with hardwood flooring and promises of social engagements to come. The eat-in-kitchen is everything a cook could want, with a newer dishwasher, pantry, eating area, newer refrigerator, newer gas stove (with new gas shut off for the stove installed in 2009, a kitchen floor installed in 2007, and completely refaced in 2013. The downstairs is complete with a full bathroom, refinished in 2004 (upstairs full bathroom refinished in 2005). The upstairs bedrooms are spacious with bright colors, creating the perfect, inviting environment. The basement is full with newer washer and dryer, a water heater installed in 2000, furnace motor replaced in 2012 and a furnace flame sensor installed in 2011. The exterior of the home has so much to offer, including a new roof installed in 2005, siding and garage repaired in 2008, rebuilt back porch steps, a newer chain fence, retaining wall, circle (all rebuilt in 2005), new gutters installed in 2009, and the driveway and apron redone in 2008. This home is near all major highways, bustling downtown area, shopping malls, public transportation to New York City, and great schools. This home is A MUST SEE! 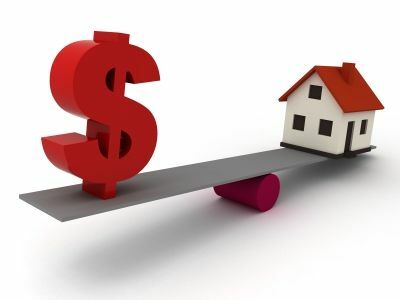 Buying a Home in Avenel? 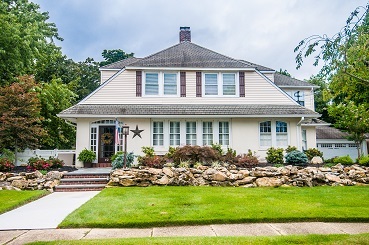 Selling a Home in Avenel? Welcome to the Park Place Townhomes. From the first steps into this home, you feel at home. This newer designed townhome has a spacious living room, formal dining room, and updated kitchen. The family room adds to this home’s charm and exudes comfort. With hardwood flooring throughout and brightly colored, this home is ready for you. The living room has sliding door access to a raised deck, ideal for summer time gatherings. The upstairs bedrooms are spacious and brightly colored. The master bedroom complete with a walk-in-closet and full bathroom. The community living is close but private, with two garage spaces and recreational park. Close to all major highways, shopping malls, and public transportation to NYC. This home is a MUST SEE! Step into simplistic grace. This corner lot home is ready for its new owners and exudes comfort. Greeted by the cozy living room upon entrance with wall to wall carpeting and bright coloring. The eat-in-kitchen has plenty of space for the chef in you with hardwood flooring and separate dining area. Marked as a four bedroom, one of which is currently being utilized as a sitting room, all with hardwood flooring and bright colors. Two full bathrooms, one recently refinished. Very large driveway with detached garage and ample yard space. Near all major highways and shopping malls. This home is not to be missed! This appealing cape-cod is ready for its new owners. Upon first glance, this fetching home, placed on an ample spread of land, invites you to turn the key and find this home is anything but ordinary. Greeted by an amiable living room, with hard-wood flooring, connecting to the formal dining room, fitting for eventual dinner parties or gatherings. The kitchen is updated with brand new flooring, cabinets, and counter-tops, invoking your inner cook. The enclosed porch is drenched in sun and is as optimal for a coffee break on cool spring morning as it is for a relaxing dinner among the summer twilight breeze. The bathrooms, both upstairs and downstairs, are newly modeled, and brand new carpet in the spacious, upstairs bedroom. The attic is spacious and lavish with possibilities. This home is full of new utilities, including a new furnace, hot-water heater, exterior electric supply lines and interior electrical breaker box. The exterior of the home is abundant and complete with patio and bar-b-que area. This home provides easy access to all major highways, shopping malls, bustling downtown area, and public transportation to and from New York City. This home is not to be missed! 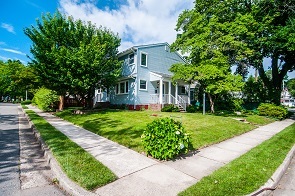 Buying a Home in Sayreville? Selling a Home in Sayreville? 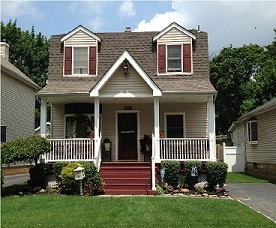 Sayreville town house Ready for YOU! 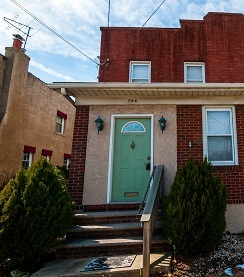 This quaint, elegant townhouse is ready for its new owners! Step inside this stylish home, completely updated, and feel welcomed. With hardwood flooring throughout its beautiful formal dining room and living room adds a unique level of refinement. The Eat-In-Kitchen will appeal to the chef in you and the refinished cabinets, newer appliances, and granite counter tops will assure your cooking will be completed in luxury. The two and a half bathrooms have been updated for your convenience and the full basement is complete with a newer washed and dryer and additional storage space. The bedrooms are spacious, brightly colored, and add a modern touch to this ornate home. The large, fenced backyard is complete with a small deck and only adds to this home's charm. Located near all major highways and shopping malls. This is a MUST SEE!!! Enter into serene opulence from the second you pull into this two car wide driveway, bordered by a stylish brick mending wall, with lights and street access mailbox. Upon your first steps into this splendid colonial, the foyer exudes warmth and comfort, sure to create the feeling of home. Step up on the landing and see the bright, spacious, and affluent living room, with bay windows and hardwood flooring. The orderly kitchen is a delight, with unblemished wood cabinets, center island, and separate dining area, will certainly appeal to the chef in you. The formal dining room radiates elegance, creating a splendid setting for future dinner parties. Off to the side are two bonus rooms, one for laundry, and another bright sitting room, impeccable for a cup of coffee and a good book. The sitting room leads to a Florida room, complete with carpeting, sitting area, great brick face to the walls, windows through-out, and a wood-burning stove, made from brick and iron, and open fire grill, making even the most mundane summer bar-b-que the event of the season. Overlook the vast backyard, with scenic swimming pool and storage shed as you dine in splendor, enjoying the cool evenings of the ever changing seasons. The bedrooms are spacious, with hard wood flooring, and brightly colored, with an extra room for a possible home office, or even a guest room. The basement is a partial basement, completely finished with a conceivable space for a home gym, den, or even rec room. 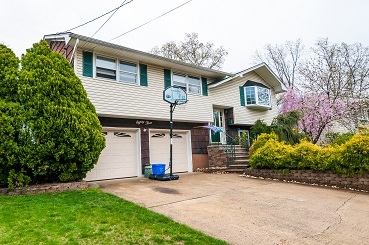 Located in desirable North Edison, near all major highways, parks, shopping malls, and three local train stations (among other public transportation) to and from NYC, this house is sure to go fast!!! 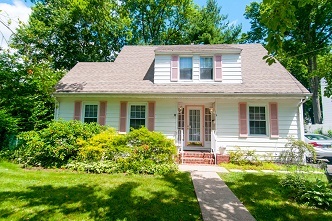 Step in to this pleasant Metuchen colonial! The home warmly greets you with brightly lit, complemented by clean hardwood flooring, foyer, leading you through the house. The hardwood spreads through the spacious living room, ideal for social events, or relaxing Sunday afternoons, with large windows, enticing the sun to brighten up your day. The living room leads to the intimate dining room, brightly lit, and sure to be the focal point of the social event or even a quiet, affectionate, gathering. The eat in kitchen is truly a wonder, with newer appliances, tiled floor, island, wall oven, tons of cabinet space, and separate eating area, seems to encourage a cup of coffee with the morning newspaper. Attached is the cozy den, complete with hard-wood flooring, wood burning fireplace, and sliding back door, optimal for not only relaxing with a good book, but jesting over a football game. The bedrooms are spacious and allow an optimal amount of light and can have a variety of uses and have hard-wood flooring throughout. The basement is partially finished with laundry area, quaint den with wall to wall carpeting, and utility room, making this house complete. The backyard, with its concrete patio and built in pool, is sure to encourage BBQ’s among cool summer breezes. Located near all major highways, shopping malls, bustling downtown area, and public transportation to and from NYC. This house is not to be missed! Charming Metuchen Cape Ready For You! 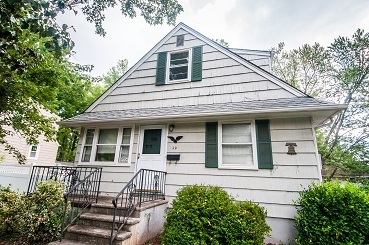 This Metuchen Cape is ready for its new owners. Step into tranquility with this quaint, welcoming home. Step into this sun-drenched layout, with hard-wood flooring throughout. The living room is spacious, with scenic, wood-burning fireplace, large bay windows allow for a picturesque view and allowing sunlight to flood the brightly colored room. The formal dining room is ready for all your dinner party needs and the eat-in-kitchen will appeal to the chef in you. The newly updated full bathrooms are fully updated to the luxury standards. And completing the downstairs layout is a Florida room allows you to experience relaxation in bright, tranquil surroundings. The bedrooms are spacious and tastefully designed, and the full basement is partially finished with a work room and plenty of storage room. The back yard is large and incorporated with a deck, ideal for the future bar-b-que’s to come. Near major highways and shopping malls, bustling downtown area, and ease of access to public transportation to and from NYC. This home is not to be missed! 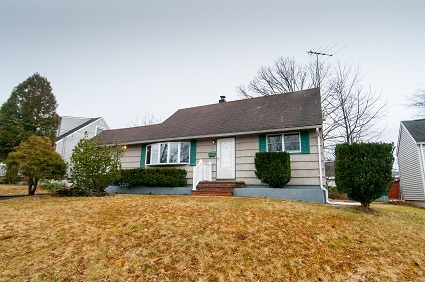 This appealing Metuchen ranch is ready for its new owners. Upon first glance, this fetching home, with a lot raised above the street, tastefully landscaped with a short brick wall in front and short few steps to lead the walkway, welcomes you to this sublime home and invites you to explore its possibilities. Greeted by a pleasant living room, sun-filled with wall to wall carpeting, apt for a relaxing Sunday afternoon or social gatherings. The cheerful eat-in-kitchen is bright, with newer cabinets, large windows, up to date tiling, and appliances ideal for all social or private cooking occasions. The two downstairs full bathrooms are newly modeled, with granite counter-tops, one completely finished shower stall, and the other with updated shower stall and tub. The fully finished basement spacious and lavish with potential, with wall to wall carpeting in the den room, and laminate tiling in the bonus recreation room, completing the basement with laundry room and newly finished, full bathroom. The bedrooms, two downstairs, two upstairs, are wall to wall carpeting, the master bedroom downstairs is newly finished, and full of ample space. The sizable backyard is ready for a variety of outdoor activities, including simple patio and bar-b-que area, this home has it all! This home provides easy access to all major highways, shopping malls, bustling downtown area, and public transportation to and from New York City. This home is not to be missed! 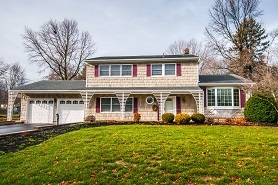 Elegant Colonial in Matawan, Waiting for You! This two story colonial is ready for its new owners. Step into tranquility as you’re greeted by a placid landscape enhancing the beauty of this elegant home. Walking into the foyer, the warm surrounding embraces you, with intimate surrounding of hard-wood flooring and bright, stylish door frames and windows panes. The classic, polished living room is complete with hard-wood flooring, large, light flooding windows complete with shutters, wood-burning fireplace, and access to second vestibule. The formal dining room is the perfect mix luxury and comfort, making it the impeccable setting for dinner parties to come. The eat-in-kitchen is sure to appeal to the chef in you, with newer appliances, luminous granite countertops, stainless steel sink, ornate sink window, ceramic tile floor, backyard access, and separate eating area. The brightly lit family room exudes relation and charm with brightly painted walls and wall to wall carpeting. The sunroom is brand new, with every comfort and informality, yet remaining stylized. And the downstairs is complete with a splendid powder room that is perfectly refinished, updated, and radiant. The upstairs bedrooms are spacious and sundrenched with hardwood flooring throughout, and impeccably tasteful. The upstairs is enhanced by two full, completely updated bathrooms, which are simple, yet refined. The patio area outside is brand new and ready for BBQ’s when the season is right, overlooking the spacious backyard, kept bright and green from an underground sprinkler system. The multi-zoned heating system is easy to maintain a neutral temperature in the house, brought on radiators and baseboards from the newer hot water heater, and multi-zoned central air to cool you down. Near all major highways and shopping, and easy access to public transportation to and from NYC. This Home is a MUST SEE!!! This stunning contemporary home is ready for its new owners. Built in 1965, this modern house, is complete with all the amenities, shingled roof and vinyl siding. 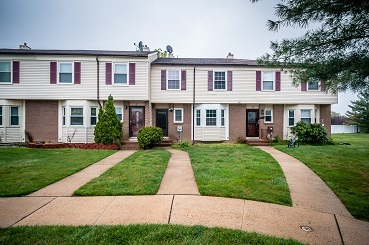 Walking in, be greeted with a short stair case, propelling oneself into the cozy living room, with hardwood flooring, and access to the second floor kitchen, with updated counter tops, tiling, and newer appliances. 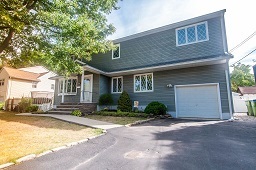 Down the hall are three bedrooms, with hardwood flooring and an updated full bathroom. Downstairs is a carpeted family room, with alluring fireplace and the bonus of a second kitchen. Off to the side is an entrance way to the attached, single car width garage, with laundry facilities. From the family room, there is also access to the enclosed porch, which allows one to enjoy the scenery, no matter what time of year. The spacious backyard has plenty of room for BBQ’s, catches, or any variety of outdoor activities one can imagine, complete with storage shed. 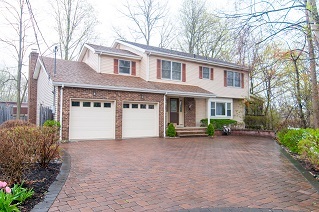 Metuchen school systems add to the home’s appeal. Close to all major highways, bustling downtown area, shopping malls, and public transportation to NYC. Edison Cape Cod at Your Finger Tips! Welcome to Edison allurement! This quaint cape-cod is sure to relate to the home body in you. Upon arrival, one can see the great curb appeal of this throwback home from yesteryear, with single car width, concrete driveway, metal siding, and front porch patio, perfect for that morning coffee in temperate weather. Stepping in the door, you’re greeted with a formal living room, complete with wall to wall carpeting and leading to the Eat-In-Kitchen, with tile flooring, updated cabinets and newer appliances. Through the corridor is a formal dining room, filled with promises of dinner parties to come and access door to the backyard. The family room exudes comfort and tranquility, with easy access to the homes laundry facilities, also with newer appliances. The classically designed bathroom is located downstairs for easy access, one extra room in the back, adept for use of another bedroom or office, and upstairs with two cozy bedrooms. The backyard is spacious and ready for summer BBQ’s and complete with a storage shed. Great schools, near all major highways, shopping malls, business district, and public transportation to NYC. THIS HOUSE IS A MUST SEE!!! Metuchen Grace at Its Finest! 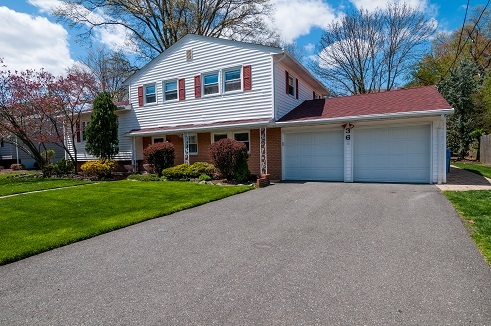 Step into this refreshing piece of Metuchen Real Estate! When arriving, this home’s contemporary design and wood exterior add a unique characteristic to this already impeccable home, completely renovated in 1992. Entering the home, you are immediately greeted with a welcoming atmosphere, wall to wall carpeting, and open layout entices you to explore every inch of this gratifying household. Enter the home to room, perfect for home office, drenched with light from open glass window. Living room, with wall to wall carpeting and ceiling fan. The Eat-In-Kitchen has a wonderful, rolling airiness to it, with all the modern conveniences, granite counters, cherry wood cabinets, updated appliances, a true cook’s delight, with newly finished hardwood flooring, formal dining area and open access to the socially ready family room, with gas burning stove. The two full bathrooms, one recently completely updated, one with his and her sinks and the other with newly finished cabinets. The full basement provides ample storage space, along with laundry area and newer facilities, with bilco doors for access to outside. The bedrooms, also with newly finished wood flooring in the master bedroom, and updated carpeting in the others, are brightly colored and ideal to start any morning. The backyard is complete with a raised deck, splendid for BBQ’s under the cover of the sun. The yard is spacious and complete with a heated two car garage, with a wider driveway near the backyard. Located blocks away from bustling downtown area, with no lack of shops, restaurants, banks, and even public transportation to NYC. Near all major highways and shopping malls. Don’t miss this home! Welcome to Edison Splendor! This wonderful, adaptable, and expandable, custom home is ideal for a mother/daughter to share or even a multi-generational family. With woodburning fireplace, hardwood flooring, and vinyl siding add to the allure of this contemporary home. With two completely updated kitchens, both upstairs and down, one with charming kitchen booth that assures the perfect was to start your day. The upstairs kitchen gives way to stunning formal dining room that leads to a sliding door to the high rise deck that almost seems to have been made summer BBQ's. Complete with fully finished basement, with full bathroom and family room. Three full bathrooms in this home that are completely updated and kitchens with newer appliances. Near all major highways, shopping malls and public transportation to NYC. A MUST SEE!!! 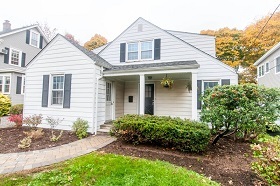 This Metuchen Cape-cod is Ready for You! Step into Metuchen Charm. This three bedroom cape cod is ready for its new owners. 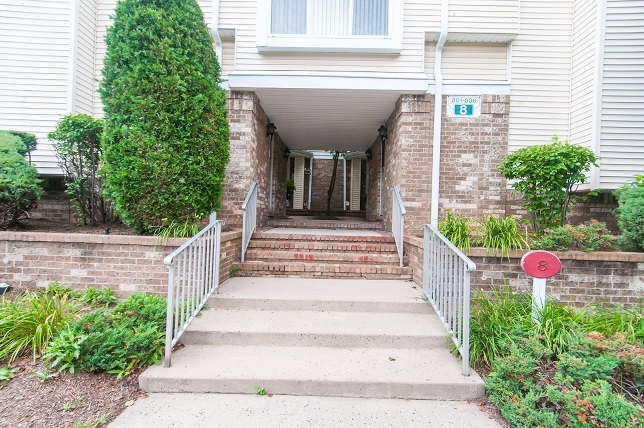 Located in the heart of Metuchen, just two blocks away from Main street and the train station, only 45 minutes from New York City, only adds to its charms. Greeted with a stone front porch, with new stone walkway, that is ideal for enjoying a morning cup of coffee with a newspaper while feeling the a gentle breeze on your face. Stride through the front door and embrace the newly finished hardwood flooring, anderson windows, and freshly painted throughout the interior. The living room with endless possibilities has a woodburning fireplace, built in book shelf, and closet to add to the ambiance. The dining room, overlooks the front yard as it paints the room with sunlight then extends to the completely new eat in kitchen, with newly installed Brazilian granite counter tops, newly installed stone tile flooring, farmhouse sink, and brand new stainless steel appliances. Just around the corner is a full, completely new bathroom, for your convenience. Leading down the hall to a possible office, recreation room, or another bedroom, with bay windows and closet space. The spacious backroom, with a second woodburning fireplace, leads to a stair way to two spacious bedrooms and a second full bathroom. There are two entrance doors from the backroom, one to the driveway and garage, the other sliding door, accessing the fenced in yard, patio area, large enough for a summer BBQ or even a fun backyard catch. 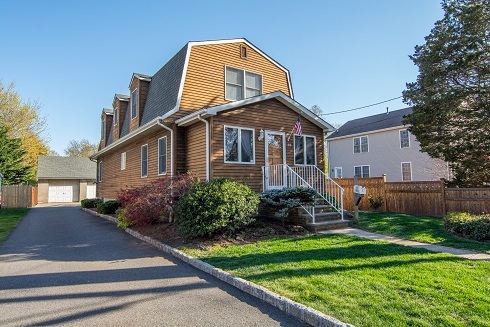 Brand new whirlpool washer and dryer, Timberline roof, brand new heating system, and Metuchen schools add to this homes appeal. Minutes from all major highways, shopping malls, and great restaurants and parks. A MUST SEE!!! 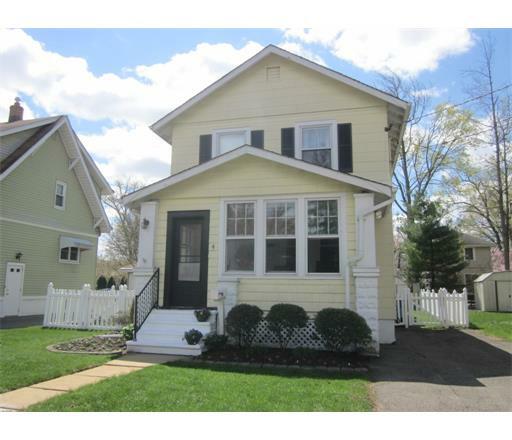 Buying a Home in East Brunswick? 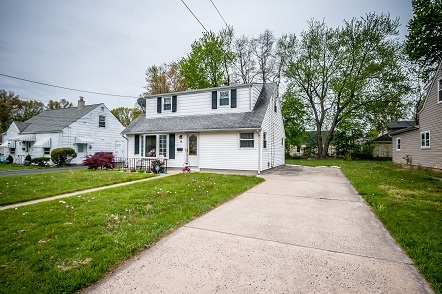 Selling a Home in East Brunswick? Step into this quaint blissful cape cod. Located in a great area with blue ribbon schools, its maintenance free interior only adds to its allure. With its welcoming living room, complete with wall to wall carpeting adds to the ease of comfort. The eat-in-kitchen will appeal to the cook in you, with granite counter tops and newer appliances. Generous sized bedrooms, with an extra room for a home office, that can easily be converted into another bedroom. The interior has been freshly painted and bright and airy throughout and hardwood flooring through the whole home. Ideal for first time home buyers, has great curb appeal, and park like exterior. Near all major highways, shopping area, and close to public transportation to and from NYC. A MUST SEE!!! Metuchen Colonial Ready For You! Step into Metuchen Charm! 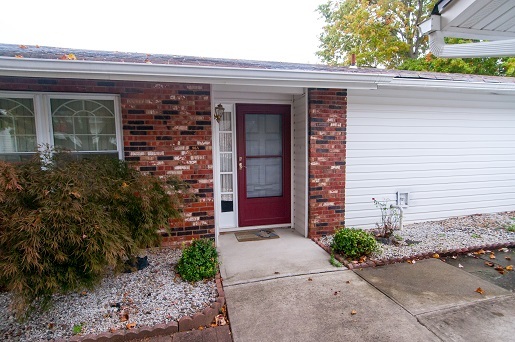 This charming, convenient, and affordable home is ready for its new owners. Walking up, you are greeted with an enclosed, three season, front porch, ideal for a morning newspaper, book, or a cup of coffee accompanied with only relaxation. The family room, as you enter, is complimented with hardwood flooring and drenched in sun. Attached is the formal dining room that assures of dinner parties and holiday meals full of fun. The living room is the perfect place to unwind, with plenty of light, from a skylight, and wall to wall carpeting and cozy woodburning fireplace, and a home office, to add to your efficiency. The kitchen is bright and ready to assist the chef in you and plenty of counter space. The newly finished powder room adds to this home's appeal along Master bedroom allure. The backyard is complete with raised deck fitting for those summer BBQ's. Nearby municipal pool, local YMCA, optimal location near major public transportation to NYC, bustling downtown area, all major highways, and shopping malls. A MUST SEE!!! Step into Westfield charm! This half duplex is ready for it's new owner. With a partially finished, full basement, enclosed front porch, and three year old roof, add to the lifestyle of ease. The living room welcomes you with a spacious layout, hardwood flooring and wood-burning fireplace. The quaint, formal dining room just screams of future dinner parties and a breakfast bar to enjoy the paper with your coffee, attached to the updated kitchen. The second floor has a full bath and ample bedrooms for your comfort. Within proximity to all bustling downtown shopping, all major highways and public transportation to and from NYC. This home is a MUST SEE!!! 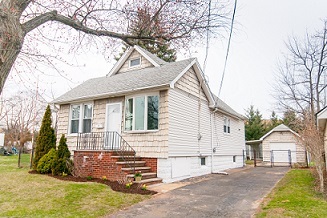 Sleek and Stylish Split Level in Metuchen!!! Welcome to Metuchen appeal! This split-level home is ready for it's new owners. As you step into this spacious layout, you are greeted with an elegant foyer, thoroughly complete with stone tile flooring. The downstairs family room welcomes you with relaxation and draws you to be entertained. Step upstairs and see the elegant living room, complete with hardwood flooring and formal dining room, ideal for a dinner party. The updated Eat-In-Kitchen is a cooks dream, with newer appliances and island in place for convenience. The fully finished basement ads an extra room for entertainment right next to the newer laundry facilities. The spacious bedrooms offer comfort in elegance, the master bedroom complete with master bathroom and walk-in closet. A fourth bedroom can be used home office or spare guest bedroom. This home needs no updating, with a two year old roof, a newer central air system, and a furnace, less than a year old. Within proximity to all major highways, great schools, bustling downtown area, shopping malls and public transportation to and from NYC! This Home is Ready for You!